I’M SITTING ON A PARK BENCH OUTSIDE an industrial building overlooking a river, as cars race overhead and a Metra train blows its horn. Ah, nature! We take the little pieces of it we can find in Chicago, and this little piece belongs to four-year-old Imperial Oak Brewing in Willow Springs, straight southwest of Midway, overlooking a creek that runs along the sanitary canal. I first heard of The Roaming Hog a few weeks ago at Baconfest, where I was a judge. The way judging works is, each of half a dozen judges gets a dozen or so restaurants to taste; you pick your top pick, and then all the judges try each others’ top picks. I knew what I expected from the name Roaming Hog—obviously a barbecue truck. Let me guess, a sweet smoky dish with bacon on pulled pork, probably a slider. Subtlety was unlikely to be on the menu. Vietnamese inspired Pork belly Clay pot (deconstructed). Marinated Pork Belly, black garlic Caramel sauce, puffed rice, pickled Thai chili/Sambal sauce, fresh herbs. Sesame seeds. Chili threads. 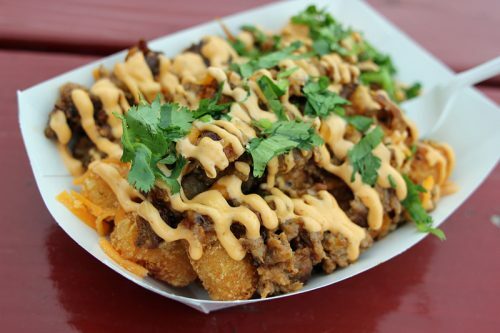 There’s hardly a word of that any barbecue truck has ever even used, let alone made a whole dish out of. I picked The Roaming Hog’s dish to take to the other judges, though in the end it was nudged out for the Golden Rasher by one from Heritage Restaurant and Caviar Bar. 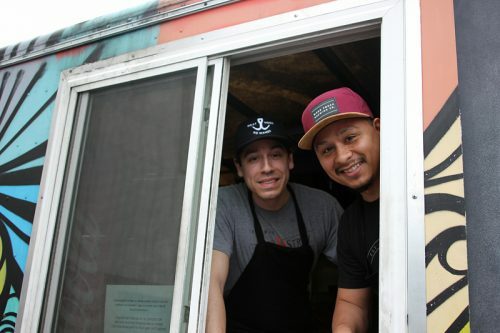 But I definitely wanted to know more about this not-a-barbecue truck—and how it was making it with Vietnamese-inspired deconstructed food in a barbecue truck world. I contacted owner Eddie Aguilar, and he said I could come try their food for myself—at a brewery in Willow Springs, the next Thursday night. PEOPLE ASK ME ABOUT FOOD TRUCKS in Chicago once in a while, and they still exist, but the original idea for food trucks—an incubator for new food businesses, serving hungry Loop workers—has, if not died a death of a thousand bureaucratic cuts, largely been forced to find a different way of surviving. Many, maybe most food trucks now find more congenial, less-likely-to-get-an-expensive-ticket ways of serving captive audiences. For instance, many have regular gigs turning up once or twice each month at medical centers, or college campuses, or tech businesses in areas where there aren’t a lot of restaurants. Or they show up at breweries. “Some breweries don’t want to be brewpubs,” Aguilar explains to me at Imperial Oak. “It’s more money, more staff to hire, why have the added stress if you’re already making an amazing product” with your beer? 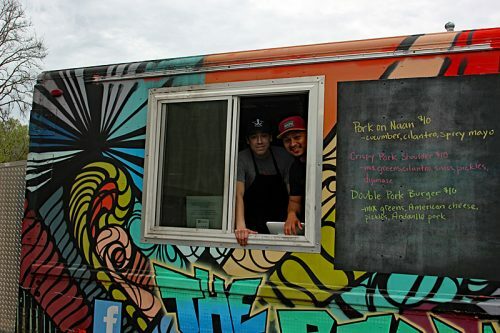 Instead, the breweries invite food trucks in to offer food to their customers. “Sours are a big thing now,” he says. 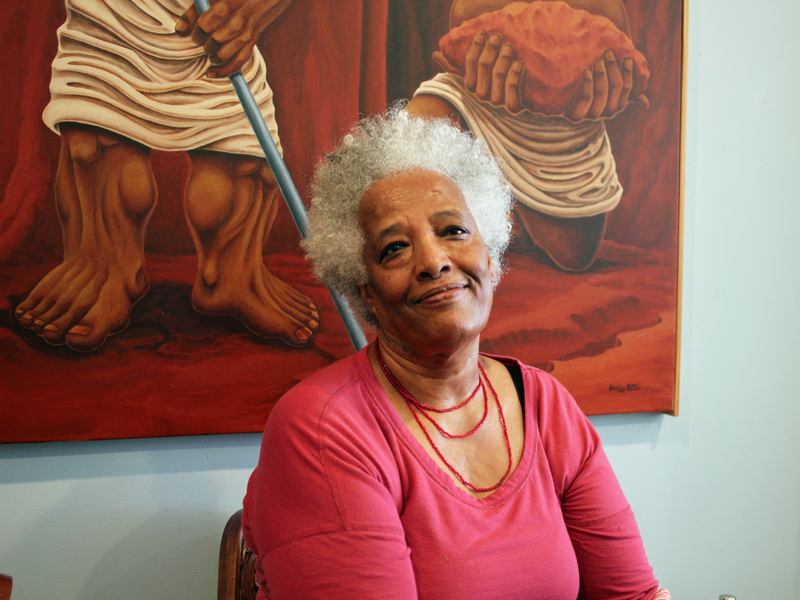 “And it’s not just men who drink them, women are really drawn to them too. A lot of times women have a sharper palate, they’re more sensitive, and I wouldn’t have thought they be into that, but they are.” Typically Imperial Oak offers around half a dozen sours as well as the dozen or so beers of different styles, from IPAs to stouts, on tap. I’m Latin, but you don’t see too much of that cuisine in my food because I kind of fell in love with something else. I ask him what he looks for in a food truck, plainly expecting a food-related answer, but he laughs. “Reliability,” he says. “There’s a lot of issues about reliability. Reliable, the food’s good, that’s about it. I listen to the customer base and what people say about it, but honestly, I’ve never had a bad one yet. Once in a great while there might be something a bit weird, that’s not what they were looking for. But you can’t please ’em all. 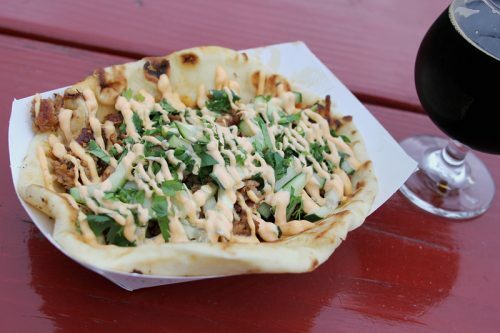 THE FOOD ITEMS I TRY THAT NIGHT AT IMPERIAL OAK fit the profile of what you’d expect for a food truck—porky, a little gloppy, easy to eat and keep eating (too much of) while drinking. There’s some international flavor to what they offer, especially the Pork on Naan, which besides being served on an Indian-style bread, has a subtle mix of cucumber and cilantro and Asian-esque flavors. Still, I know from Baconfest that The Roaming Hog has more to it than this comfort food, enjoyable as it is. 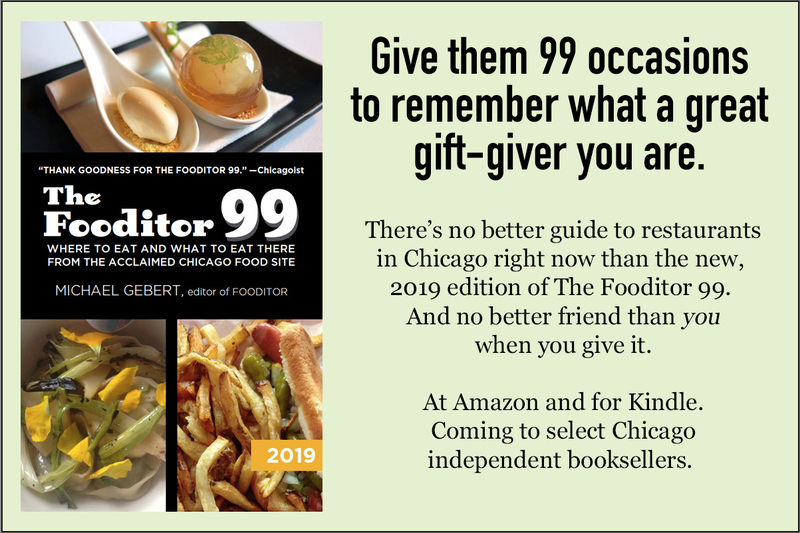 Eddie Aguilar is half-Mexican, half-Guatemalan; he was born in Chicago but moved to the western suburbs after culinary school at Robert Morris College. One good choice he made as a young cook was taking a job at Vie in Western Springs, where he credits Paul Virant and Nathan Sears with opening his eyes to farm to table. Another was going to work at a now-closed Vietnamese restaurant in Naperville, Cuisine de Saigon. “I’m Latin, but you don’t see too much of that cuisine [in his food] because I kind of fell in love with something else,” he says. 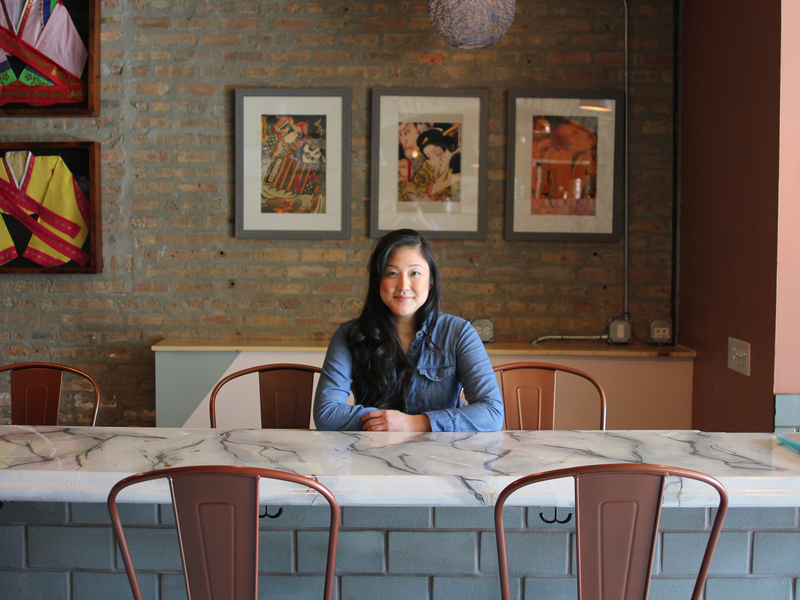 “What I’d been taught was farm to table, nose to tail, using the whole animal.” At the Vietnamese restaurant, “they were speaking another language so I didn’t fit in at all, but it let me try to learn another language, at least the words for the menu, so that when they shouted it out, I understood what to make. AGUILAR DIDN’T HAVE A PLAN FOR WHERE his truck would go—but he was at Solemn Oath Brewery in Naperville, where he knew the staff, one night. “I was having a beer, and doodling, and I said I may be thinking about opening a food truck,” he said. 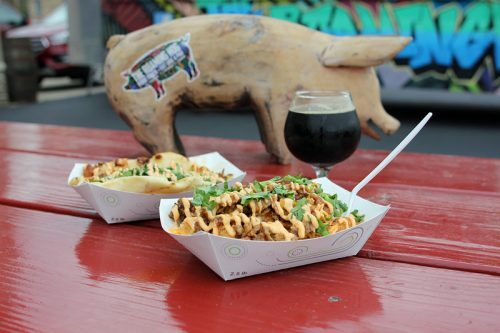 And so, day 1 of operation, The Roaming Hog was at Solemn Oath for the new beer release they do every Tuesday. 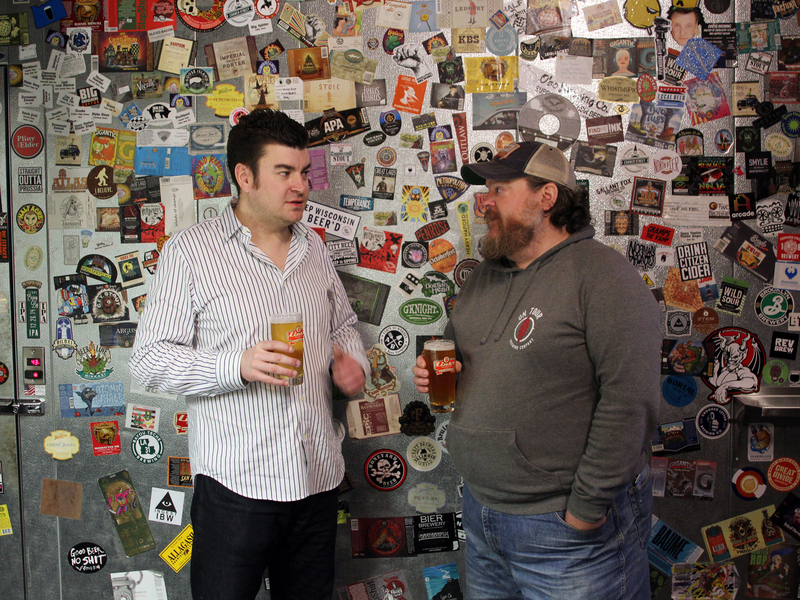 “The suburban breweries are really open minded. 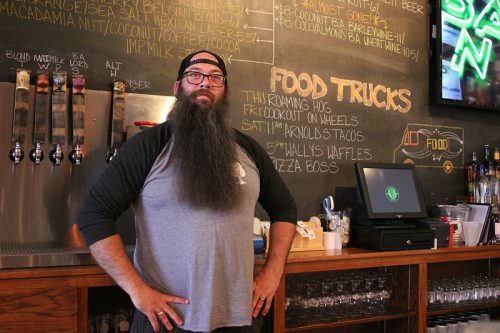 Everybody knew me, they said you can bring your truck to brewery this many days,” he says. Another concern is how far you’re willing to travel. “We try to keep it to 45 minutes or less” from his homebase in Naperville, just for wear and tear on the truck. 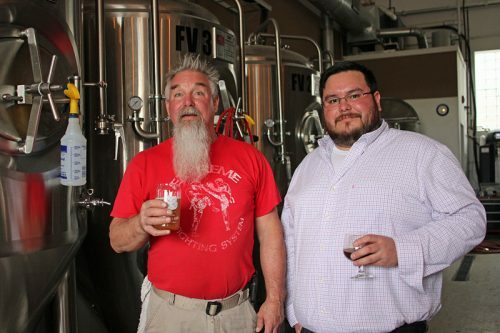 “We try to book up thirty days in advance for breweries, and for lunch stops at hospitals and schools.” Others in his regular rotation includes Werk Force Brewery in Plainfield and Alter Brewing in Downers Grove. But he’s game for traveling further for the right venue—he’s at the new Royal Palms Shuffleboard Club in Chicago this week, and after meeting the owner of Wicker Park’s Links Tap Room at a recent event called Sausagefest, they’re planning a collaborative event this summer. So he’s found a way to make it work and support a small staff. But his ambition doesn’t end there. Late in our conversation, he makes an offhand reference to a second truck. A what? He’s just acquired a 1966 Ford Grumman camper, to serve as a catering truck, maybe a coffee and doughnuts operation as well as a backup Roaming Hog truck—there’s time to figure out exactly what it’s for while it gets fixed up. The Roaming Hog will be at Royal Palms Shuffleboard Club, 1750 N. Milwaukee Ave. in Chicago, evenings through Sunday, May 13th. 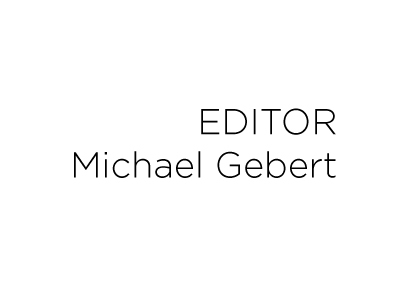 Michael Gebert keeps on truckin’ as editor of Fooditor.